On July 19, 1992, Italian Anti-Mafia Task Force leader Judge Paolo Borsellino–one of the most important men in the history of Italy–and five police body guards*, were murdered by a car bomb in Palermo, Sicily. Their deaths would not be the last in the long war against the Mafia. After the decline of the Sicilian feudal system in 1812, powerful regional crime groups took root throughout Sicily. A variety of claims about the origin of the Cosa Nostra have been put forth. Depending on whom we listen to, the Mafia can be traced to anywhere from rural Sicilian land owners of the late 1700s to secretive Arabic gangs from before the time of Christ. Regardless of the lack of agreement concerning its birth, by the 20th century, the Mafia, had amassed tremendous power and wealth across Sicily, and had exported its organized crime franchises across the United States, Canada, and parts of South America. In Sicily, individual Mafia gangs were organized along territorial borders. In the 1930s, when heroin supplies from China and Japan dwindled due to the war raging in Asia, heroine labs opened in Sicily and in the area around the port city of Marseilles, France. In Sicily, the Mafia was able to use its growing heroin profits to influence government and insulate itself from the law. That influence grew to crippling proportions. A seemingly endless series of murders paralyzed Sicily. The Mafia appeared omnipotent, and fear of it prevented the Italian government from acquiring enough witnesses to prosecute those murders. A variety of Italian governments made attempts to curtail the Sicilian Mafia and other organized crime systems in Italy, but their success was limited. Immense wealth coupled with a multi-generational membership system made Italian organized crime groups very difficult to penetrate. Paolo Borsellino was born in Palermo on January 19, 1940, at a time when Benito Mussolini and his fascist party were at war with the Sicilian “Cosa Nostra.” Borsellino came from a working class family. During his youth, poverty racked Sicily, and education was difficult to obtain, but Borsellino managed to attend Palermo University. During his University days, Paolo befriended like-minded youths, and he joined the right-wing Fronte Universitario d’Azione Nationale. Through this student political group, Borsellino formed long-lasting relationships with men who he was able to trust in his later battle against the Mafia. Paolo persevered in his studies, and, in 1962, he graduated from the law school at Palermo with honors. In 1963 he passed the judicial exam and was assigned to various courts throughout Sicily until his return to Palermo in 1968. The humble, native son returned to his birthplace with the intention of restoring Palermo, and all of Sicily, to its rightful owners: the honest, working people of Sicily. No normal man would have started such a fight. Fortunately for Italy, Paolo Borsellino was not a normal man or an average judge. Along with his trusted colleagues, Prosecutor Rocco Chinnici, and Magistrate Giovani Falcone, Borsellino organized an elite, anti-Mafia crime fighting unit. Handpicked Carabinieri with distinguished records were assigned to the task force. You might wonder why these men didn’t expect the powerful Sicilian Mafia to target them. Actually, they did. The task force was formed with the intention of passing institutional knowledge of the Mafia from one generation to the next, no matter how “short” a generation’s tenure might be. These men assumed that they would eventually pay with their lives for what they were doing. Though they knew they would not survive the war, they wanted the war to survive their passing. The group formulated a massive body of history and current knowledge about the Mafia. New members of the task force were surprised and sometimes frustrated at the time they had to spend studying the history of the Mafias of Sicily before they were allowed to become active in operations. But when seasoned Carabinieri entered the battle against the forces of the Mafia, they knew who was who. They knew who their ancestors were, what the borders of the gangs were, and what methods the gangs had and did use. Most importantly, they trusted the men they fought alongside of, and the prosecutors and judges who they would work for. In the late 60’s, as the task force began to rack up victories against the wealthy and powerful Mafioso groups of Sicily, a new factor emerged in the war against the Sicilian Mafia. A hitherto insignificant Mafia faction from rural Corleone, led by Toto Riina and Bernardo Provenzano, started making inroads into the lucrative streets of Palermo. The Palermo Mafia families apparently underestimated the determination and ruthlessness of the new leaders of the Corleone Mafia. That underestimation would cost them their lives. Provenzano used patient tactics and preferred to remain in the background. The brash Riina wanted to use terror to gain power. The Corleonesi carefully crafted strong alliances with other, less powerful families, and then proceeded to wreak havoc in Palermo. Their campaign of murder against officials and rival families was designed to implicate the Palermo families. It was effective in weakening the Palermo families and keeping the Anti-Mafia Task Force busy. The Carabinieri estimate that from 1980 to 1983, a period known in Sicily as “The Second Mafia War,” the Corleonesi Mafia was responsible for the murders of at least a thousand people. Those murders included Carabinieri, magistrates, prosecutors, and innocent children. As the old Mafia establishment of Palermo crumbled, Riina and Provenzano picked up the pieces. Within four years, they were able to gain control of the lucrative Palermo heroin export. But Riina and Provenzano miscalculated, just as their victims had. A particularly popular and highly respected Carabinieri by the name of General Carlo Dalla Chiesa was summoned to reinforce the Task Force. On May 1, 1982, during the height of the Second Mafia War, the general became prefect of Palermo. Carlo Dalla Chiesa had earned the adoration of Italy and the trust of the US intelligence establishment because of his highly successful work against the Italian Red Brigade terrorist group. When the Brigade kidnapped American Army General James Dozier on December 16, 1981, the Italian government rejected offers of help from President Reagan, but the White House, the Pentagon, and the CIA did not trust Italy to act with alacrity and integrity. So America dispatched its own handpicked agents to “assist” in the Italian manhunt. Those agents were not expected to go through normal channels. One of the young members of that group decided to take the risk of reaching out directly to Dalla Chiesa. It was his judgment that Dalla Chiesa could be trusted. It was Dalla Chiesa’s judgment that the American intruders who had appeared from outside of normal channels could be trusted. An alliance was quietly formed, and, thanks to the hard work and courage of the Carabinieri, General Dozier was recovered alive. On September 3, 1982, General Carlo Alberto Dalla Chiesa, his wife Emmanuela Setti Carraro, and his bodyguard were ambushed and murdered in Palermo. Italy had lost a great and honest leader, but unfortunately for Riina, Provenzano, and the Corleoni crime machine, the people of Sicily did not respond with the anticipated fear. Sicilians began to loudly protest against the Mafia and the Italian government’s corruption. Members of the US Intelligence establishment did not forget the honest general who had kept his word. It is rumored that, after the death of Carlo Dalla Chiesa, they offered various resources to the Anti-Mafia Task Force in Sicily outside of formal channels. On July 29, 1983, the new Task Force leader, Rocco Chinnici, and two bodyguards were murdered by a car bomb. The people of Sicily didn’t back down. The war continued. Then a crack began to form in Toto Riina’s armor. A member of one of the families he had nearly wiped out decided that it was time to stop Riina. Because of his rage for Toto Riina, this member agreed to turn against the Mafia. Tommaso Buscetta became one of the most valuable informants ever in the war against the Mafia. In 1986, with the help of Buscetta’s testimony, Prosecutor Giovani Falcone and Judge Paolo Borsellino were able to obtain convictions and long sentences against 350 Sicilian Mafioso. It was the greatest single hammer blow against the Mafia. Several mob families collapsed as a result of the mass convictions, but Riina and Provenzano remained at large. Judge Borsellino knew that he was living on borrowed time. On July 19, 1992, the magistrate was murdered by a car bomb. The Italian public reacted with sustained outrage. They had had enough. They wanted their country back. For the first time, Sicilians brazenly defied the Mafia. Their rage had overcome their fear. Large signs were posted on homes and businesses demanding the death of the Mafia. Prior to his murder, Borsellino videotaped an interview in which he implicated wealthy businessman and future Italian Prime Minister, Silvio Berlusconi as being connected to the Sicilian Mafia. Berlusconi has always denied the allegation. On January 15, 1993, Toto Riina was captured, and he is serving multiple life sentences. Many believe that Bernardo Provenzano had grown tired of Riina’s bloody direct attack against the government and judicial system of Italy, and that he tipped off the task force with Riina’s whereabouts. I am among those believers. The arrest of Riina was followed by the arrests of his closest assistants and the collapse of Riina’s violent reign. With Riina out of the way, Provenzano quietly, and far less violently, ruled the Sicilian Mafia. He pleaded with the various families to avoid violence, lecturing that, in the wake of Riina’s bloody massacres, the people of Sicily would not tolerate open mob violence. Provenzano lived on the run and avoided the opulence and noise preferred by his old cohort Riina. He usually hid in sheep herder shacks and cabins in rural mountain areas, relying on a cautious messenger system to rule the Sicilian Mafia from afar. Few Mafia bosses were granted even brief face time with him. His wife and two sons did not see him for years. To his credit, Provenzano had learned enough about Mafia life to want his sons to take no part in it. Toto Riina’s two sons are serving life sentences with him. Provenzano’s sons have never been suspected of any crime beyond speeding tickets. In 2006, the Carabinieri began to close in on Bernardo Provenzano after the capture of a messenger. Two waves of arrests netted over 100 Mafioso in the Corleone area, but not Provenzano. On April 11, 2006, after over four decades on the run, Bernardo Provenzano was captured when an alert Carabinieri team managed to tail a delivery of medicine and fresh clothes sent to him from Corleone. Provenzano, Riina, and hundreds more Mafioso remain in maximum security prison. 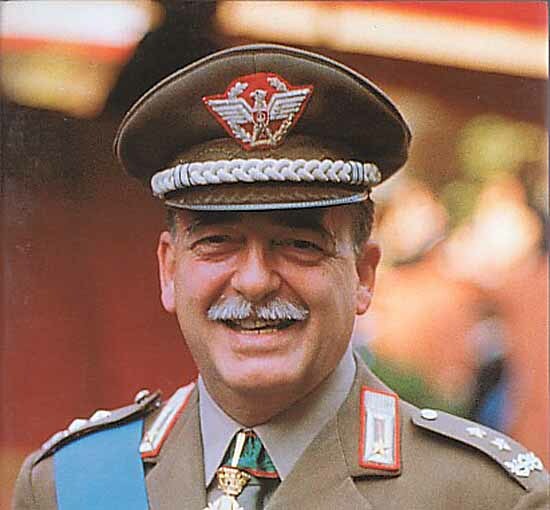 A man who I admired and trusted, General Carlo Alberto Dalla Chiesa, is long dead. He has not been forgotten. Prosecutor Giovani Falcone, Judge Paolo Borsellino, and dozens of other prosecutors, judges, and honest Carabinieri and policemen are gone. Dozens of innocent bystanders, including an eleven-year-old boy who was tortured and strangled to death by Riina’s goons, are gone. But something remains. The people of Sicily know that there are men and women who will not be bought or cowered by the vermin in the Mafia or any other criminal gang. They found their voice. They have not lost it. There is still a Mafia, and there will always be corruption, but as long as the sacrifices of men and women like Paolo Borsellino are remembered, evil will likely never be allowed to openly rule the people of Sicily again. On July 1, 2011, Toto Riina’s brother, Gaetano Riina, and three other Mafiosi were captured. They will not see the light of day. Any questions about the Cosa Nostra of Sicily? Hi, Holmes, thanks for this article. I remember reading about the mafia – judiaciary wars in the 90s at the time. To be an informer must have taken enourmous courage, same as those who assisted the government from within the IRA. in the 80s. I appreciate the way you can give a human face to these courageous people. best wishes.